Free A Lively Hope stitching club! Join the newsletter below (it's free!) 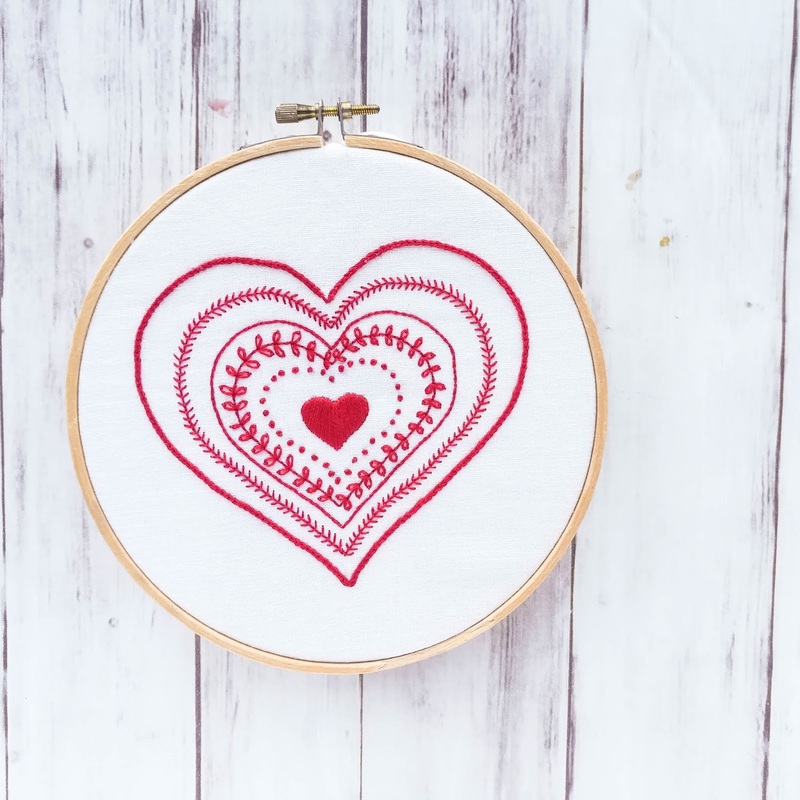 to download this Scandinavian-inspired hygge heart hand embroidery pattern. Hello there! It's hard to believe another month has passed. But here we are, on the 5th of the month once again. And if you've been here for a while you know what that means! It's free hand embroidery pattern day! I love designing these patterns each month. Really, and truly it's one of my favorite things to do. This pattern is worked all in red, which I love. 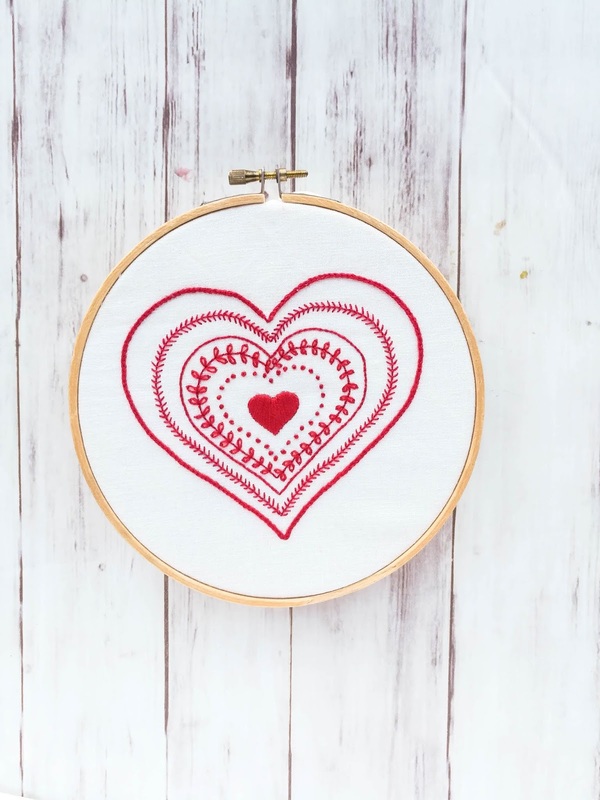 The simplicity of colors compared with the different stitches makes this a very fun pattern to stitch. 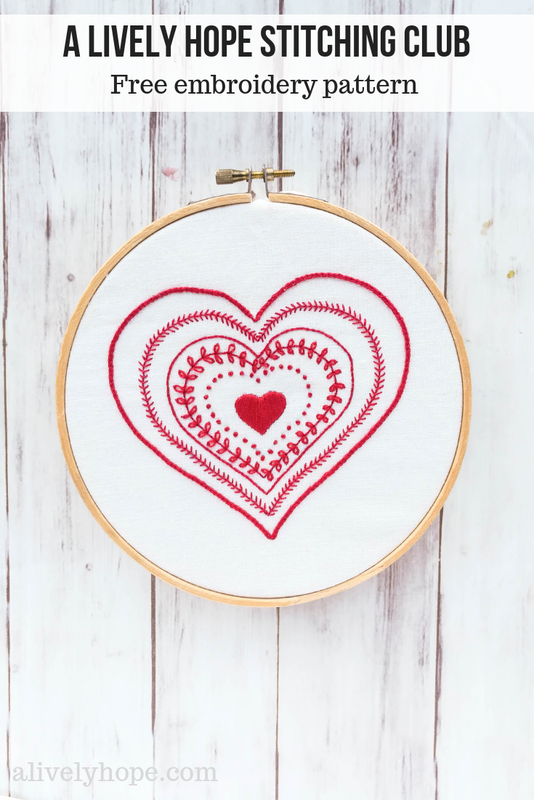 It uses a different stitch for each concentric heart. It's perfect for Valentine's Day, and the fun part is that it's a quick project so you totally still have time to stitch it up before the big day this year! 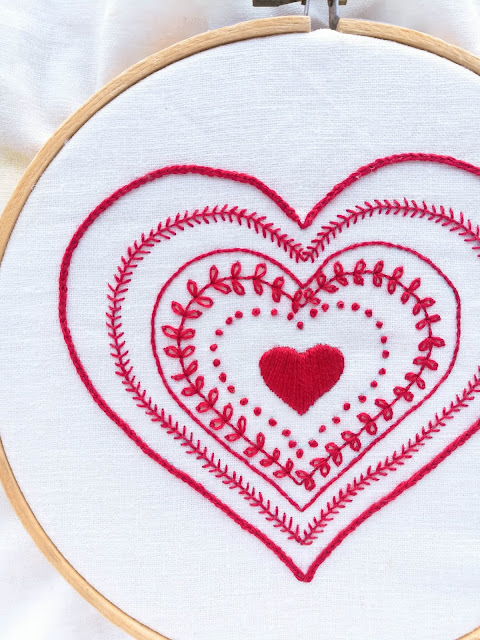 This project is a great way to introduce yourself to new stitches. It features six commonly-used embroidery stitches, so it's great for beginners and more experienced stitchers. While you're downloading the pattern, I'd love if you'd take a minute to fill out this quick survey. It will help me know where to focus my free patterns and projects for the future. 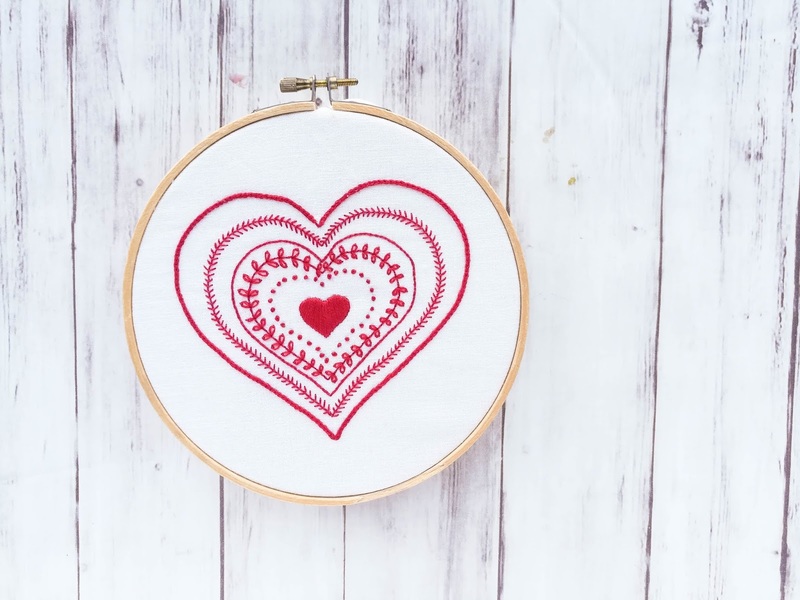 Plus, you can win a free hand embroidery kit, including the pattern pre-printed on cotton fabric, plus all the thread you need to complete the project!